Robben: "The real titles are on the way"
Hamburg - The clock is ticking down and the pre-season action hotting up. Bayern Munich finished on the losing end in one of their stiffer tests to date, coming off second-best on penalties against eventual tournament winners Werder Bremen in the semi-final of the Liga-total! Cup. So was that a taste of things to come in the months ahead? Arjen Robben certainly doesn't think so, but he does acknowledge that the German record champions have a lot of work to do, and above all "need more stability", if they are to prevent Borussia Dortmund racking up a hat-trick of Bundesliga titles. 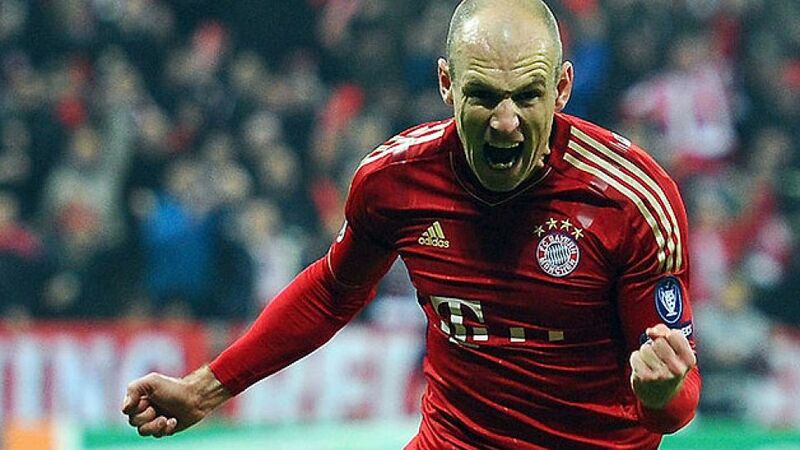 Question:: Arjen Robben, is it easier to get over a defeat like that when it's in pre-season? Robben: We want to win every game obviously, but even though we lost this semi-final, it was still a really good friendly. At the end of the day, Bremen probably deserved the win. Robben: How so? We've won the Paulaner Cup and we came back from China with the Audi Cup and the Yingli Cup - that's three titles right there (laughs). But the real ones are on the way. Question: In what areas do Bayern still need to improve? Robben: We have to be more compact at the back and stop losing possession so often. We need more stability if we want to start keeping clean sheets. We're always good for something up front because we have the quality there to be able to create chances at any point. Question: Is there still enough time to find that stability? Robben: We're really going to have to rack up the tempo over the next three weeks. But we're heading in the right direction. The attitude among the players is spot-on and we're already playing some very good football in spells.